The new model is 25% smaller and 20% lighter than the current PS3 (itself a redesign from the original version), and will come in two flavours: 250GB and 500GB. It'll also be available in two colours, white and black. The black console will be out on in Japan October 4, while the white model will be out on November 22. In the US, the 250GB model will be out on September 25, and will include Uncharted 3 and a $30 "digital content" voucher for DUST 514 (a free-to-play game). It'll cost $270. There'll also be a 500GB bundle including Assassin's Creed III that'll go on sale in the US on October 30. No price on that one yet. Interestingly, in PAL territories, there won't be a 250GB model. 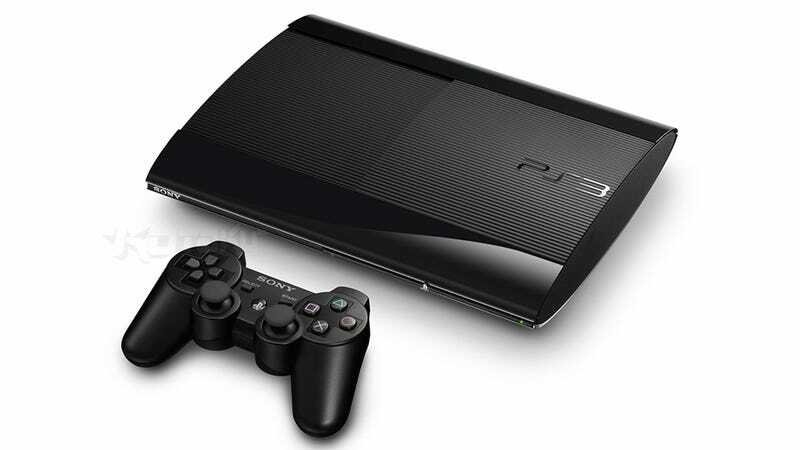 Instead, alongside the 500GB version will be a PS3 including just 12GB of flash memory.